← Replacement Cost vs. Reproduction Cost: What’s the difference? Launani Valley: The Central Oahu neighborhood you’ve never heard of. 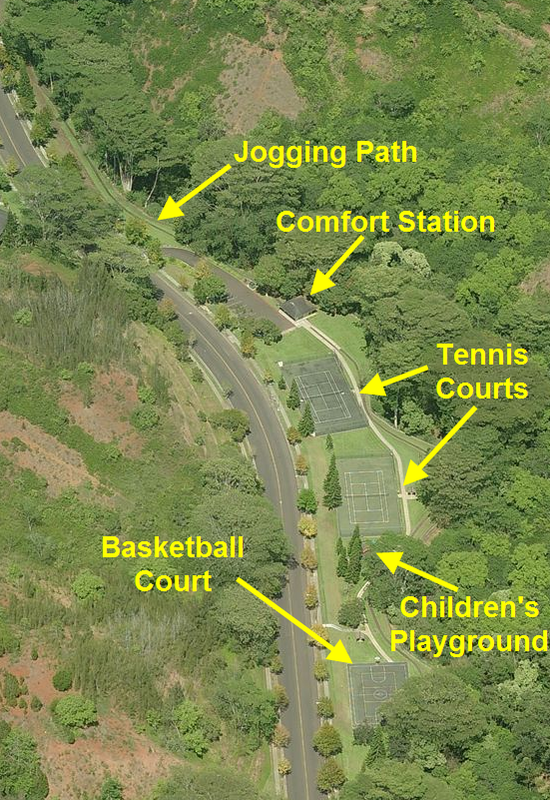 Located in Central Oahu, just behind Mililani Mauka, is Launani Valley, a peaceful and inspiring neighborhood that was developed in the mid-90’s/early 2000’s. Longtime Mililani residents describe Launani Valley’s climate as being similar to “Wahiawa Weather”, meaning cool enough in the summer to not need air conditioning, and frosty enough in the winter to require a full complement of blankets and sweatshirts. It ain’t the arctic circle, but by Oahu standards, it can get COLD (in the mid-50’s). 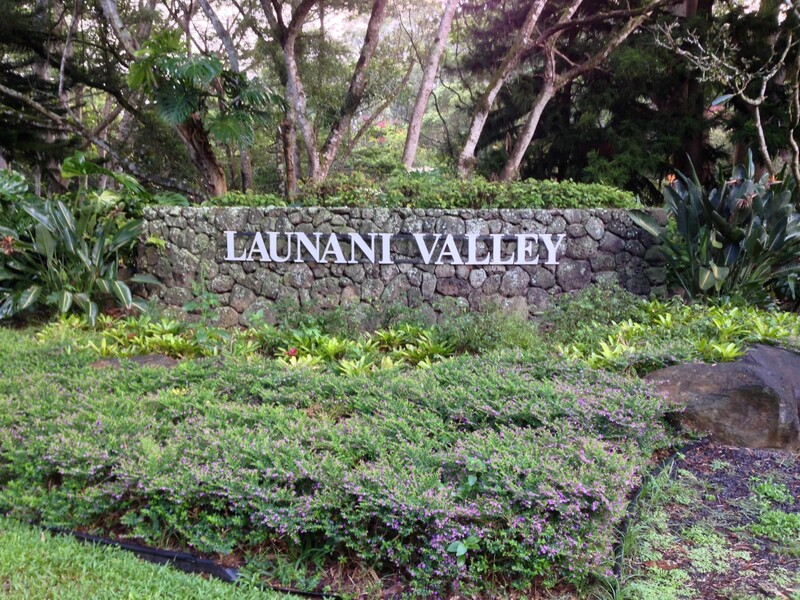 The Launani Valley Community Association (LVCA) is a master association that is comprised of 833 homeowners in 6 condominium projects. As shown, most of the condominium units in Launani Valley have either two or three bedrooms. The Woodcreek and Woodcreek Crossing developments have a total of 84 four-bedroom units. 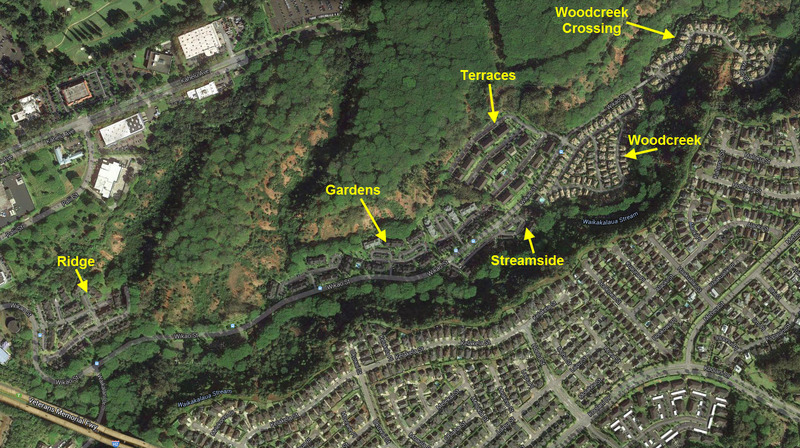 While many of the Woodcreek and Woodcreek Crossing units have single family designs–like the rest of the homes in Launani Valley, they are legally condominiums. The Gardens, Ridge, and Streamside units have floor areas that are typically in the 800 to 860 square foot range. The Terraces units are larger, averaging over 1,100 square feet. Woodcreek and Woodcreek Crossing host a mix of single family condo and duplex units–each project averages about 1,350 square feet of living area. In a future article, I’ll discuss details of each condominium project. Hi we are moving to the Terraces in Launani Valley on the 20th and we were wondering if you allow the installation of directv in the condo. Hi Tamara. The short answer is yes, but there are some strings attached. How do I get to the bottom of who is in charge of the Launani Valley Association? City and county? Who why is the restrooms at the park never open. 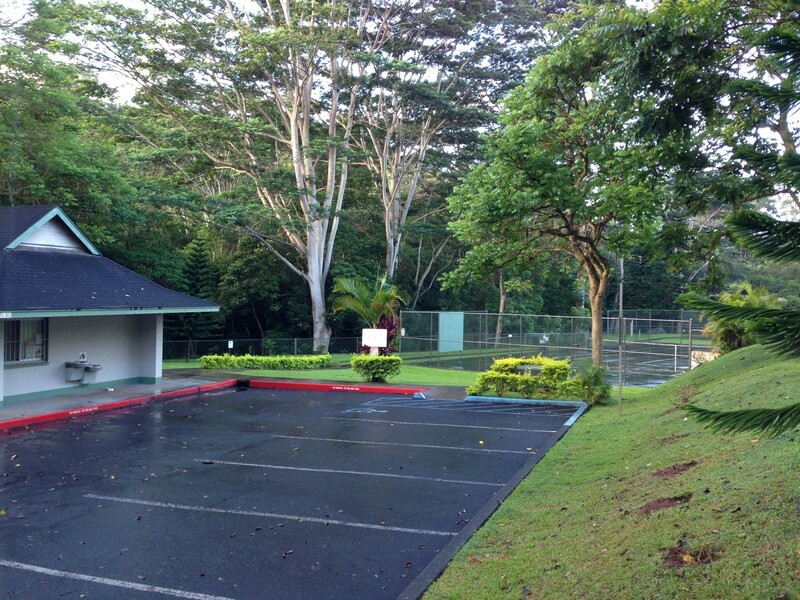 Hi Jasmine, the restrooms are maintained by the Launani Valley Community Association (LVCA) and it is purposely kept locked 24/7–keys are available to all 833 owners in the Valley. If you are a tenant, please ask the unit owner for the key.